The latest grocery market share figures from Kantar Worldpanel, published for the 12 weeks ending 22 April 2018, show the Irish grocery market continuing to perform strongly, with overall sales up 3.1% on last year. SuperValu has returned to pole position with a 22.3% share of the market, the first time the retailer has held top spot alone since July 2017. Tesco and Dunnes follow closely in second and third with 22.2% and 21.9% share of the market respectively. 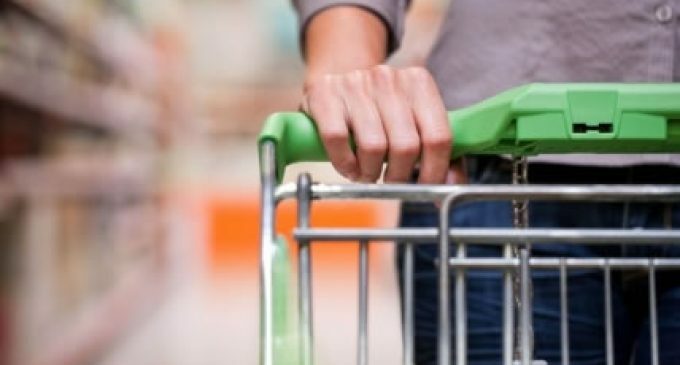 Douglas Faughnan, consumer insight director at Kantar Worldpanel, comments: “SuperValu has attracted more shoppers through its doors and persuaded its customers to buy more items per trip. In addition, while performance remains strong in its Munster heartland, SuperValu’s growth in the capital is particularly noteworthy. The retailer’s sales in Dublin grew 4.5% compared to last year, second only to Tesco which saw growth of 7.4% in the city. Lidl and Aldi were the second and third fastest growing retailers this period, with sales up 4.2% and 3.0% respectively. Lidl’s growth was predominantly driven by its sales in Leinster (excluding Dublin), whereas Aldi experienced a strong 12 weeks in Munster, Connaught and Ulster. Frozen food sales proved a lucrative source of revenue for the traditional retailers. Sales of frozen food at Tesco, SuperValu and Dunnes outpaced those off fresh, chilled and ambient food and drink while overall frozen sales rose 7.3%, in line with Iceland’s continued expansion in Ireland. The British retailer has attained a 6.3% share of frozen sales, driven by increased footfall through further store openings.